Retention in HIV care is vital to the HIV care continuum. 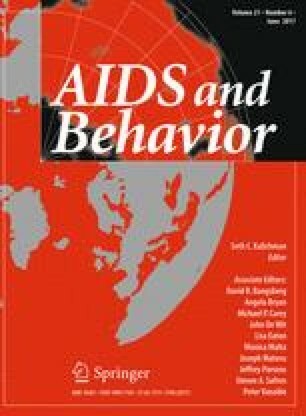 The current review aimed to synthesize qualitative research to identify facilitators and barriers to HIV retention in care interventions. A qualitative evidence meta-synthesis utilizing thematic analysis. Prospective review registration was made in PROSPERO and review procedures adhered to PRISMA guidelines. Nineteen databases were searched to identify qualitative research conducted with individuals living with HIV and their caregivers. Quality assessment was conducted using CASP and the certainty of the evidence was evaluated using CERQual. A total of 4419 citations were evaluated and 11 were included in the final meta-synthesis. Two studies were from high-income countries, 3 from middle-income countries, and 6 from low-income countries. A total of eight themes were identified as facilitators or barriers for retention in HIV care intervention: (1) Stigma and discrimination, (2) Fear of HIV status disclosure, (3) task shifting to lay health workers, (4) Human resource and institutional challenges, (5) Mobile Health (mHealth), (6) Family and friend support, (7) Intensive case management, and, (8) Relationships with caregivers. The current review suggests that task shifting interventions with lay health workers were feasible and acceptable. mHealth interventions and stigma reduction interventions appear to be promising interventions aimed at improving retention in HIV care. Future studies should focus on improving the evidence base for these interventions. Additional research is needed among women and adolescents who were under-represented in retention interventions. The online version of this article (doi: 10.1007/s10461-016-1537-0) contains supplementary material, which is available to authorized users. We thank the WHO HIV/AIDS Department and the Guangdong Provincial Centers for Skin Diseases and STI Control for their contribution and support. We would like to thank Zhang Ye, Alice Armstrong, Nathan Ford of the WHO and Simon Lewin of the Norwegian Knowledge Centre for the Health Services for their support during concept development and manuscript review processes. This project was originally commissioned and supported by the World Health Organization. Additional funding and support was provided by the Macau SAR Government and the University of Macau (SRG-000001-2014-FSS & MYRG2015-00109-FSS, PI: Hall), and (NIAID 1R01AI114310-01 and FIC 1D43TW009532-01, PI: Tucker) from the National Institutes of Health.